ChromeBooks are known for their affordability and ease of use. However, one thing that ChromeBooks are often lacking are options available for external storage. ChromeBooks ship from the factory with very small hard drives and these are often very hard to upgrade. Many users will use Google Cloud storage but some users would like a Chromebook external hard drive to backup their data and have more storage space (maybe up to 8TB!). 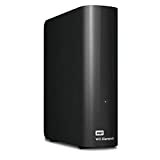 If you do not need all the storage of an external hard drive, it may be worth looking at some of the best Chromebook compatible USB flash drives or a Chromebook compatible SD card. The only option for most Chromebook users is to buy an external hard drive that is compatible with their ChromeBook set up. Having more storage space will allow you to really use your Chromebook as your main computer. You may also want to check out several Chromebook cases to go along with your new storage. A basic external hard drive that works with a Chromebook will run between $50 to $100 for a 500GB to a 1TB Chromebook hard drive. Most external hard drives will work with ChromeOS as long as they are formatted the correct way. Once properly formatted, a user can store many more photos and videos than is normally allowed in a ChromeBook. This is all very easy to do, but first the correct external hard drive for a ChromeBook must be purchased. 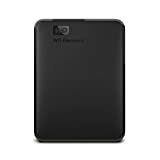 Below are some external hard drives recommended for ChromeBook that will surely give users all the storage that they need to backup their files. The hard disk drive (HDD) has been the standard technology for storage drives since the 1950s, but solid state drives (SSD) are rising in popularity and installed by default in most Chromebooks. The main reason for this is the lack of mechanical moving parts in a solid state drive. This drastically lowers the chances of drive failure and ultimately, the loss of your data when traveling with your Chromebook. Solid state drives (SSD) are also faster at accessing data and faster at starting up, and they’re not affected by magnetic fields or drastic temperature changes like a HDD. Although the variety of types of hard drives this guide covers seems broad, consider buying the ones with fewer moving parts (such as an SSD), and look at the price per GB, which is dropping every day. Your best value will typically be found in a storage size somewhere in the middle range of what’s available. The list below has some of the best external storage options for Chromebook users. The Toshiba’s Canvio Basics portable hard drive works great on Chromebooks. 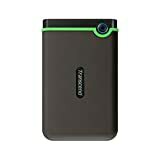 You can store up to 2TB on different models of this external hard drive. Plug and play operation. Easy to use with no software to install. 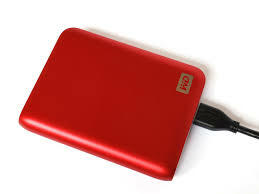 This is a great external hard drive for a Chromebook. The Western Digital Chromebook compatible harddrive offers up to 1.5TB of storage. This should be plenty for all the pictures and videos stored on your Chromebook. You can even set an optional password, that only you know, to activate 256-bit hardware encryption to add an extra layer of security when using it with a Chromebook. Transcend’s StoreJet 25M3 portable hard drive works on ChromeOS and combines the advantages of Transcend’s award-winning shockproof StoreJet M series. One Touch Auto-Backup button, 256-bit AES file & folder encryption, Exclusive Transcend Elite data management software. Although not all of these features are available to Chromebook users, the Transcend hard drive is Chromebook compatible and works very well as a stand alone hard drive. These external hard drives are fast with ChromeBooks because of their fast USB connections. USB 3.0 and USB 2.0 compatibility – With this single drive you get compatibility with your USB 2.0 devices today and the ultra-fast speed of USB 3.0 when you’re ready to step up to the next generation. It is essential when buying an external hard drive for a Chromebook that you select a hard drive that has a ChromeOS supported file system. Chrome OS supports a variety of file systems on removable devices. For example, ChromeOS supports FAT16, FAT32, and exFAT file systems. In addition, Chromebooks also support the NTFS file system which is commonly used on Windows. However, Chromebooks can only read the Mac HFS+ file system, but cannot write on it. Thus, external harddrives for Macs will not work completely and it is recommended to get PC external hard drives in order to work best with Chromebooks.